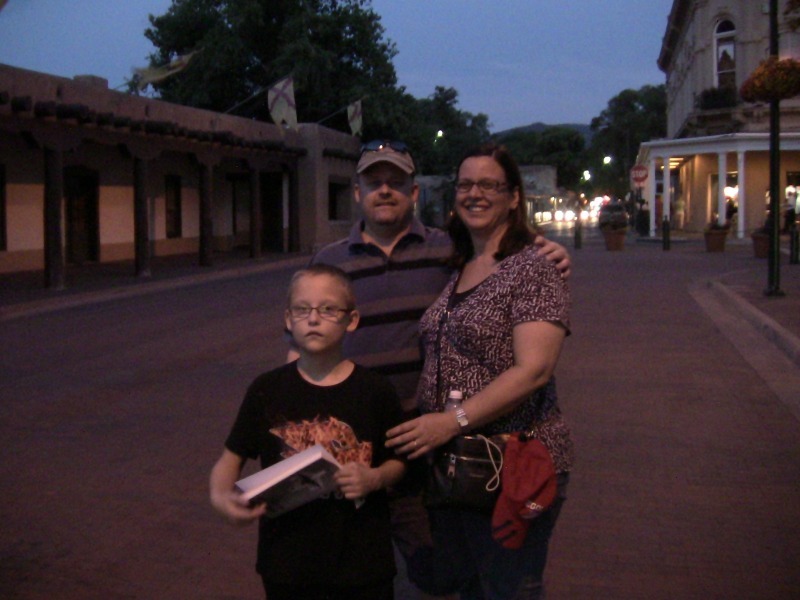 Bring you cameras, ghost meters, flashlights, and questions… GHOST TOURS SANTA FE NEW MEXICO---anything can happen! 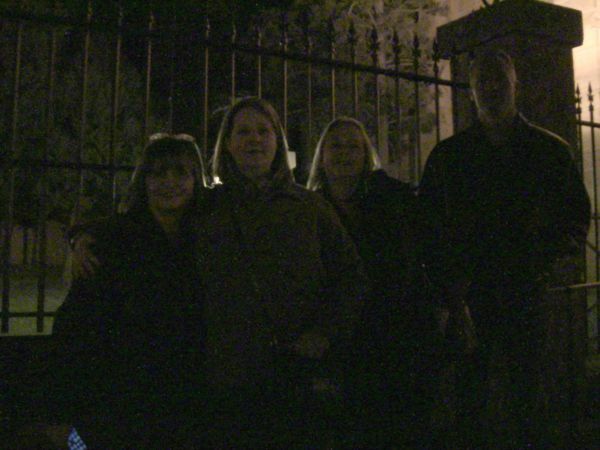 Some interesting thaaangs, or apparitions have been photographed on Allan's tours in the past! The old BOY SCOUT motto applies "BE PREPARED"! Bring a camera! You never can tell! 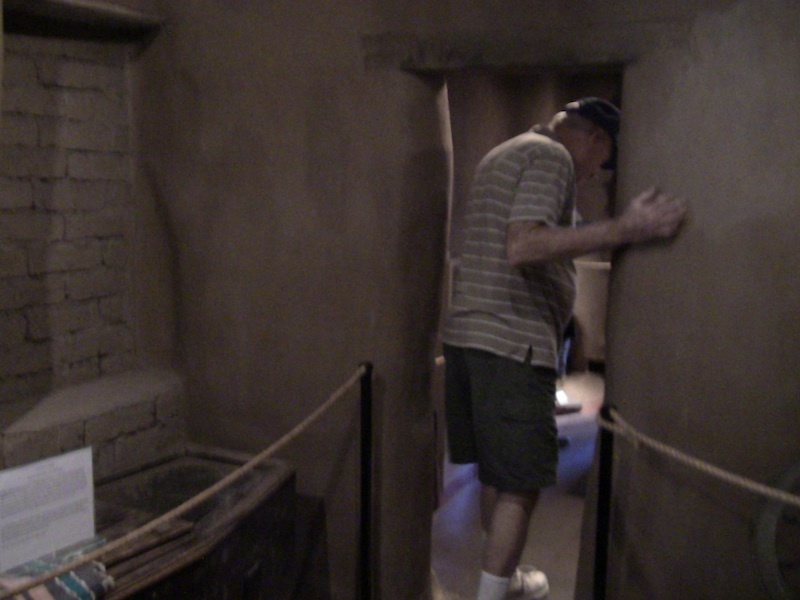 There are many (Ghost Tours Santa fe New Mexico) but on Allan's you sometimes make contact----why? Your Guide Allan Pacheco is a paranormal investigator and author of renown, so you do pass by some places that are haunted. No it is not the wind moving the bushes! ABOVE: daytime outside of the haunted Oldest House, taking snapshots. Below: inside the ghostly old historic building! BELOW: TRICKS OF LIGHT? --- SOME WEIRD BEARDS THINK NOT. 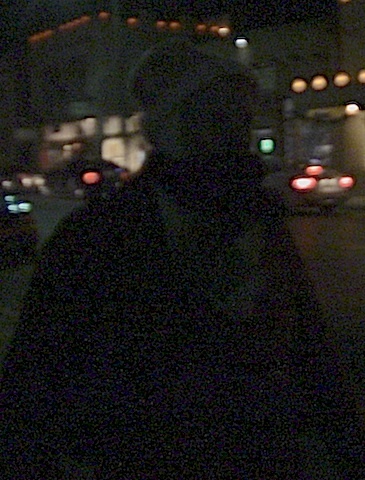 WHAT IS FACT IS THAT THE PHOTO BELOW WAS TAKEN IN THE HAUNTED "SPOOKLANE" AREA. CONTACT WAS MADE THAT NIGHT. 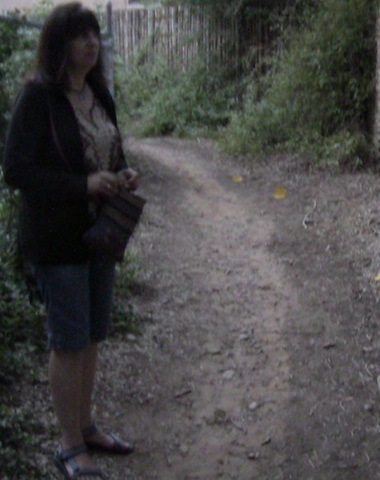 CAMERAS FAILED AND THEN CAME BACK TO LIFE AND PEOPLE DID FEEL A PRESENCE OR PRESENCES ON THIS PATH AND ON THE ADJOINING WITCH PATH (BLAIR WITCH PROJECT TRAIL). 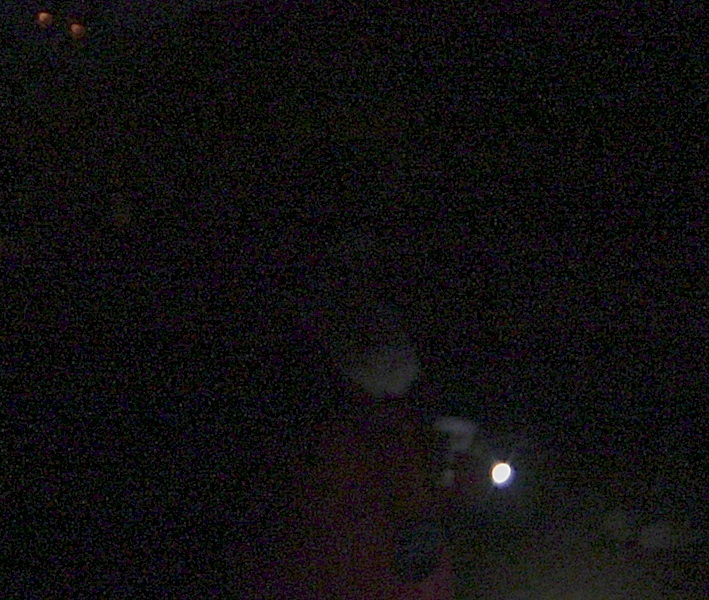 NOTE THE PERSON WITH THE FLASHLIGHT ON THE HAUNTED PATH, YOU CAN BARELY MAKE HER OUT, LOWER MIDDLE OF PICTURE. NOTE ON THE FAR UPPER LEFT THE TWO LIGHTS-- AS IF SOMETHING IS LOOKING DOWN AT HER. ODD PICTURE-- A TRICK OF LIGHT CLAIM THE SKEPTICS--- SOME SHADOW CHASERS THINK IS IT SOMETHING ELSE. I THINK IT IS A ODD PICTURE--AND YES THERE WAS CONTACT MADE BEFORE AND AFTER THIS PICTURE WAS TAKEN-- SO WHAT IS IT? I WILL PUT THIS PICTURE NOT IN MY WHITE (YES) BASKET OR BLACK (NO) BASKET, BUT IN MY GRAY BASKET. 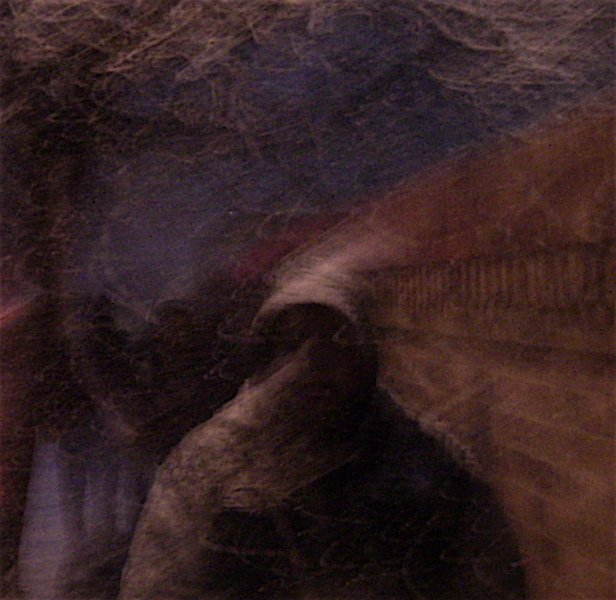 Right: Sure there are tricks of light that are misidentified as ghosts, but sometimes thaaangs are seen and shot. 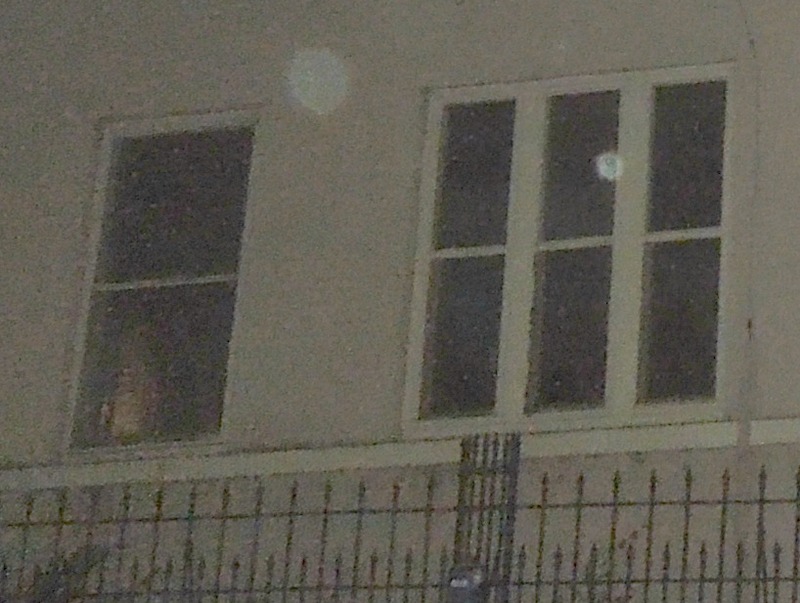 On another night tour, on a haunted balcony that has had activity in the past this came out on the picture. You decide, are they dust particles or water particles, or? BELOW-NIGHT (GHOST TOURS SANTA FE NEW MEXICO) At the graveyard next to the Cathedral. Note the Alfred Hitchcock-esque iron fence. 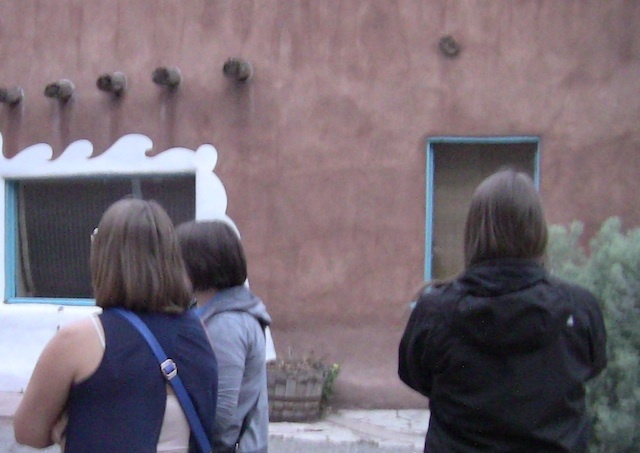 BELOW -- The tour just left (ghost central) the nickname for a very haunted colonial street in Santa Fe --- the safari is now preceding down SPOOK LANE and there was some chilling, scary vibes at a location where paranormal activity has been registered in the past. As you can see with this photo --- something was sensed there… Chills and thrills and a lot of fun when you tour with ALLAN! 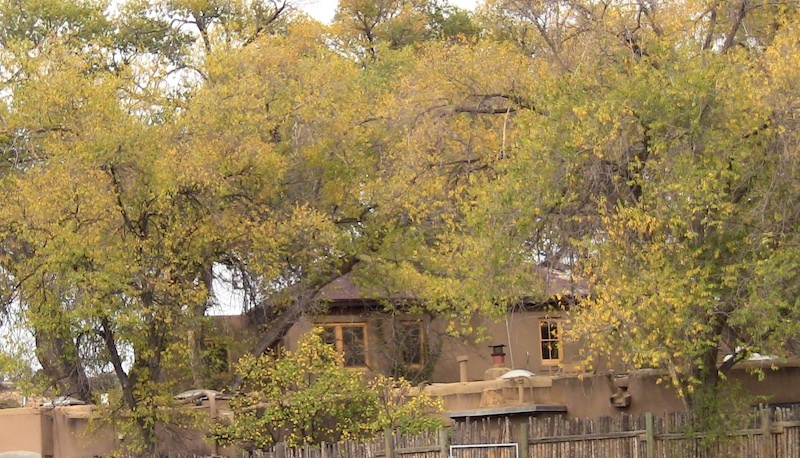 ABOVE: THE BACKSIDE OF LA POSADA. 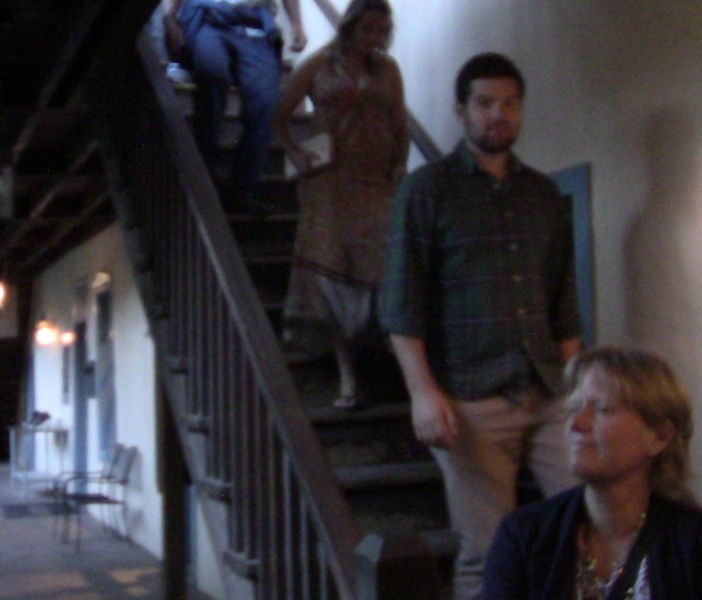 BELOW: Trick of light in the Haunted (OLD) Dining Room of La Posada, note the odd face in the photo to the left of the young lady --- evil oblong skeletal features --OR OWL VISAGE --- what aN odd shadow on photo to get those features. 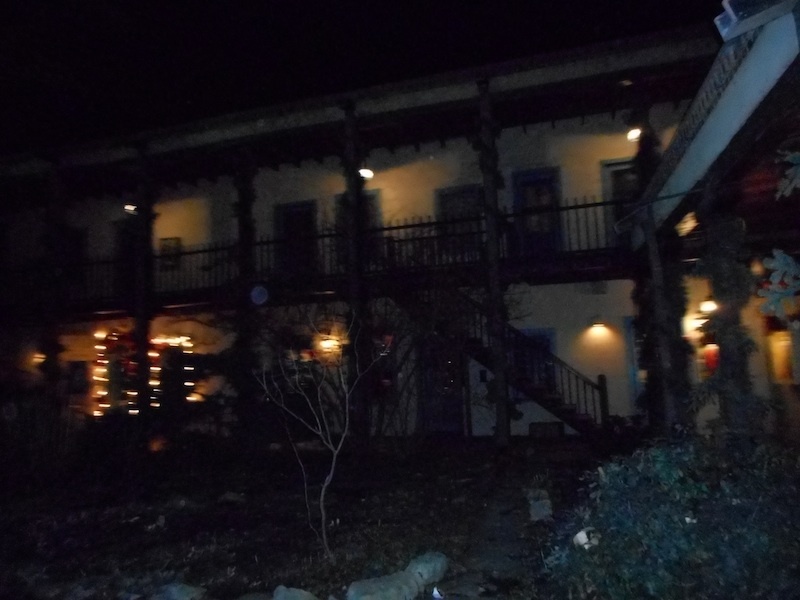 Strange things or oddities due happen at the La Posada Resort which used to be the mansion of ABRAHMA STAAB, (THE AL CAPONE OF SANTA FE -- DURING WILD WEST DAYS). 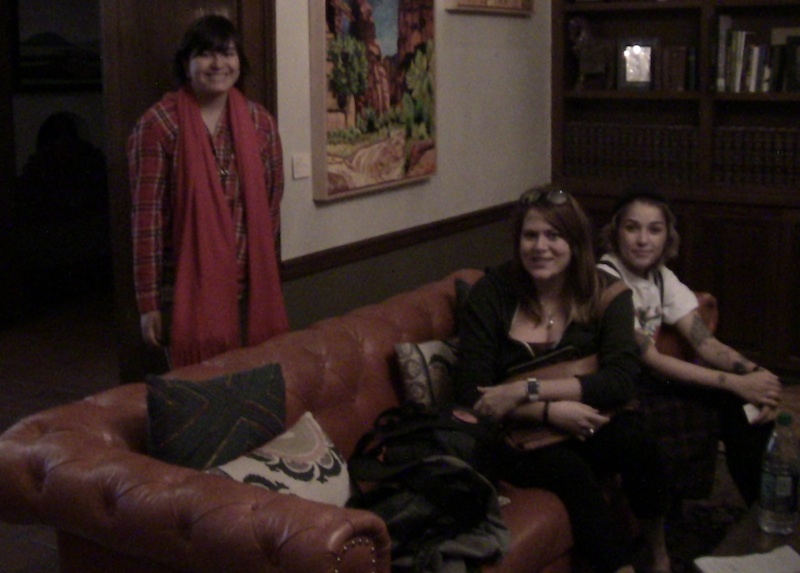 End of the tour, at La Posada. 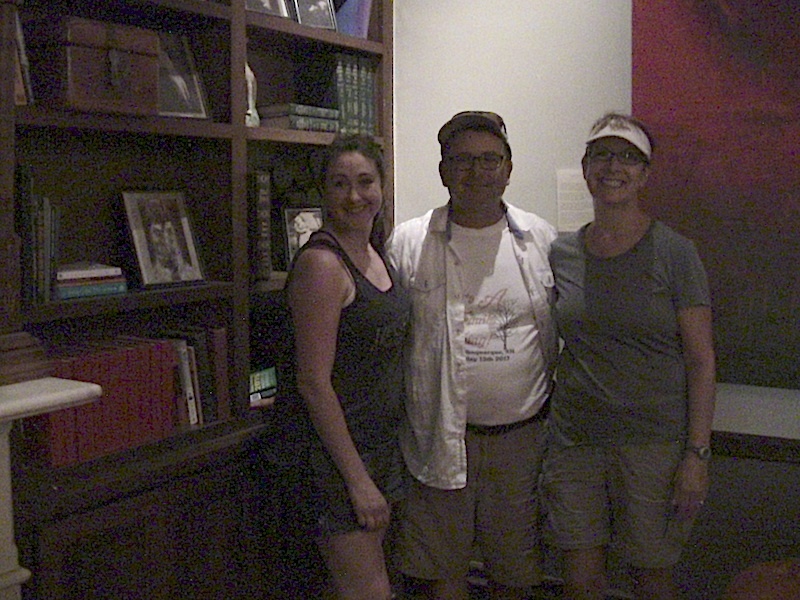 These found ladies had a wonderful time on the safari, SMILES do not lie! 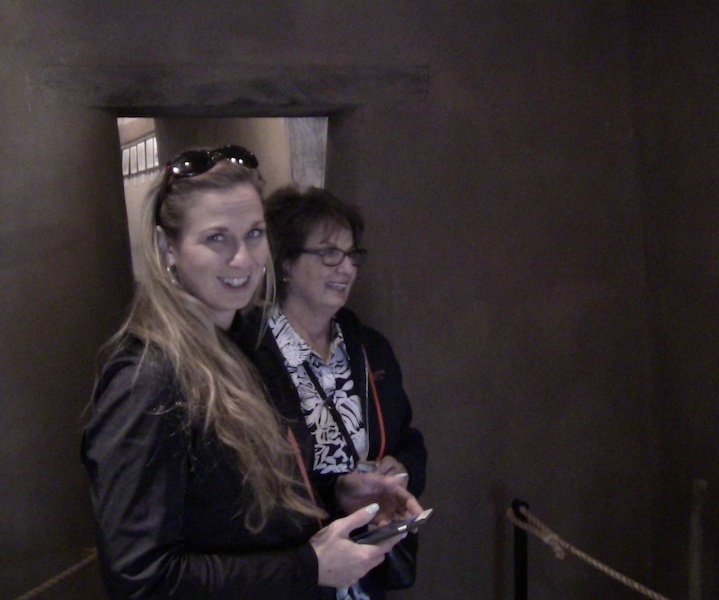 BELOW: Daytime GHOST TOURS SANTA FE NEW MEXICO safari, a fun time was had. 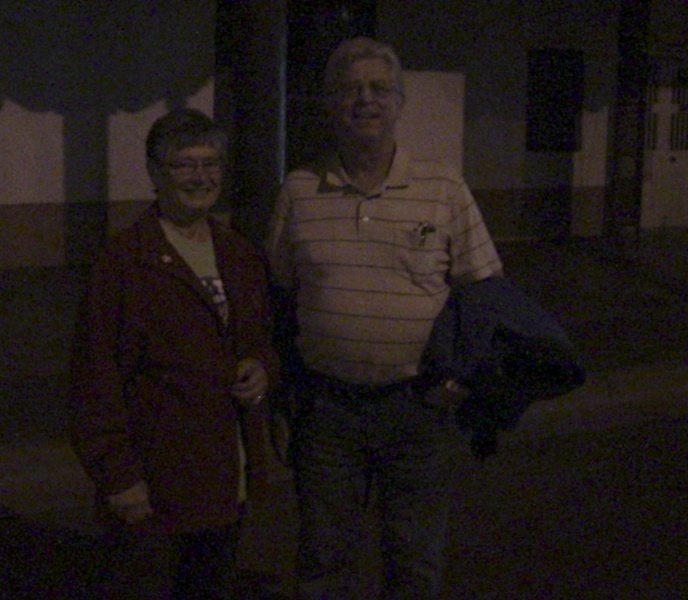 Note the statue behind Charles & Melanie -- DAY or NIGHT --- 505-986-5002 PRIVATE TOUR LED by ALLAN PACHECO. On ALLAN's tours, you have a good time. 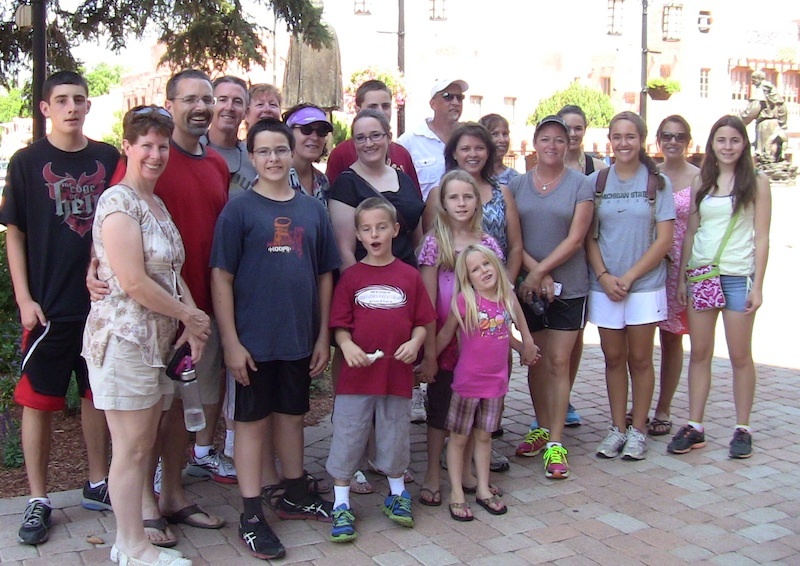 AL PACHECO LEADS YOUR PRIVATE TOUR -- HISTORY OR GHOST 505-986-5002 LETS GO TOURING!